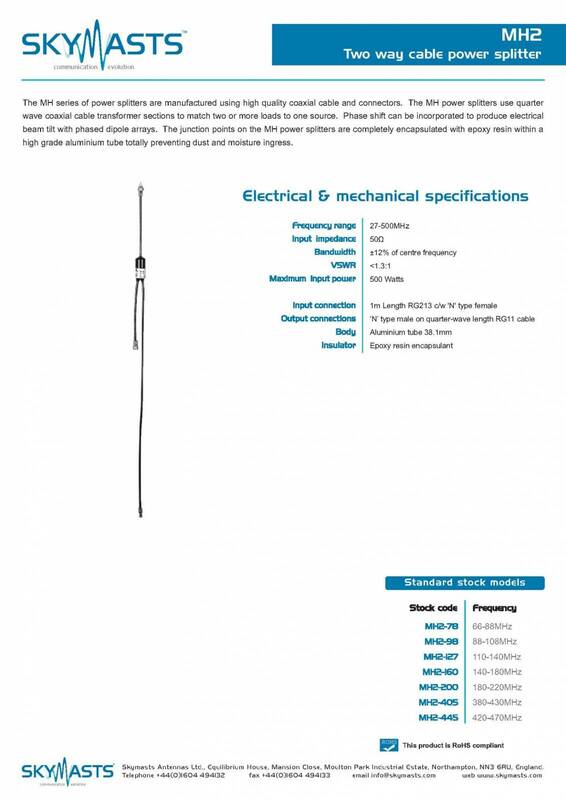 The MH series of power splitters are manufactured using high quality coaxial cable and connectors. 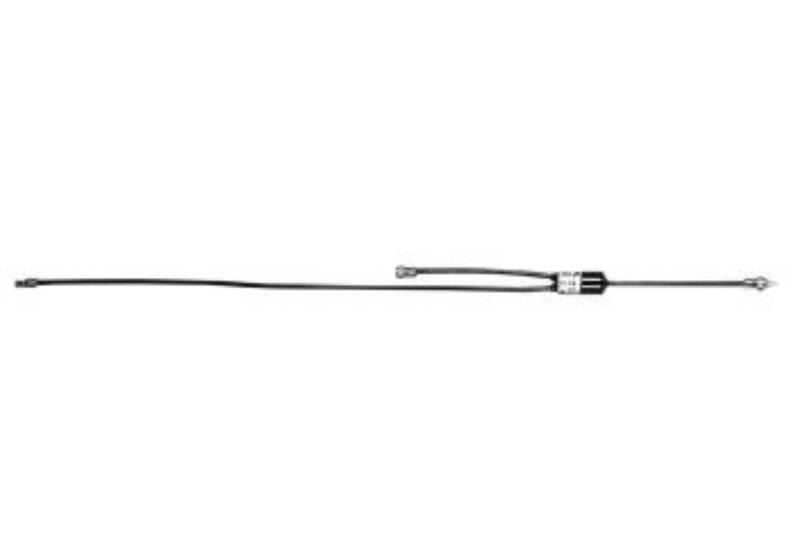 The MH power splitters use quarter wave coaxial cable transformer sections to match two or more loads to one source. Phase shift can be incorporated to produce electrical beam tilt with phased dipole arrays. The junction points on the MH power splitters are completely encapsulated with epoxy resin within a high grade aluminium tube totally preventing dust and moisture ingress.